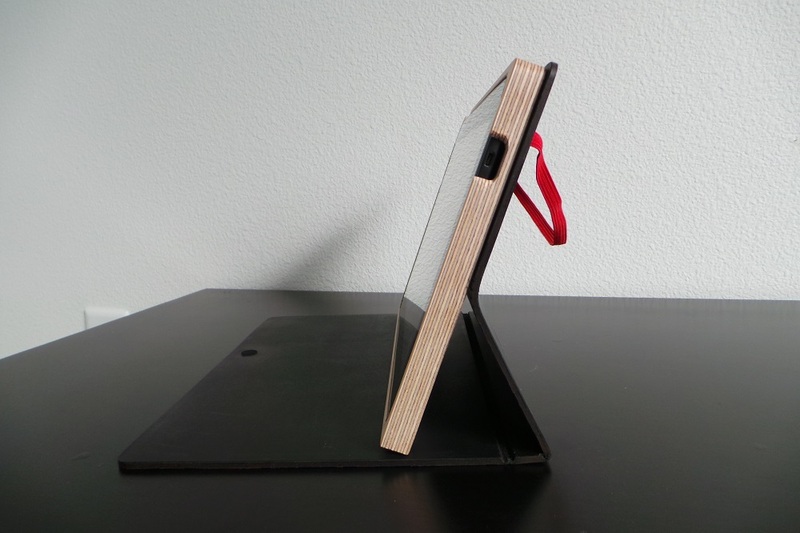 Since the release of Portenzo’s custom bookcases for the Nexus 7 tablet (review here), we have been major fans. Made from high quality materials, Portenzo cases are pretty much the definition of what I look for when I think about protecting or covering up my tablets. 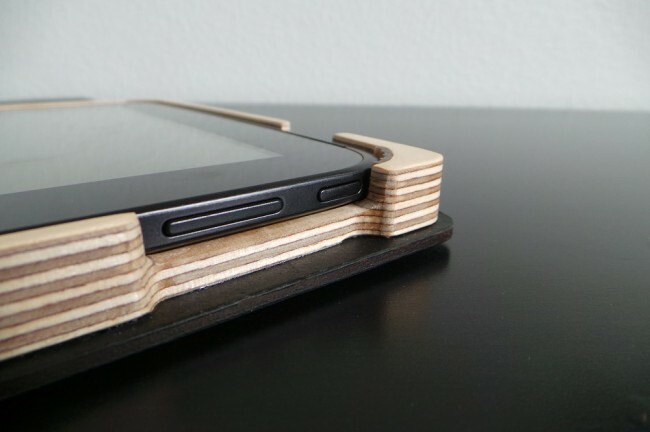 Once we heard they were beginning production of bookcases for the Nexus 10, we knew we would be picking one up. After a couple of weeks, we received our custom case for the Nexus 10 as a review sample. Options for the case seemed unlimited, as the choices between covers, colors, and engravings can basically turn your case into a pure work of hand-made art. The company uses american maple for the frames, works in a double-glued elastic band which “won’t ever come undone,” and are all made from a single sheet of premium leather right here in the U.S. Being the minimal lover that I am, I opted for a plain black leather shell, a cutout for the tablet’s camera (an extra $5), with a lone red strap to keep the case from opening. It’s simple, gorgeous and feels fantastic. While the Portenzo bookcases do add some weight and girth to the Nexus 10’s slim frame, to me it is worth that sacrifice in that I now have a built-in stand for the device, as well as the added protection. To sum it up, if you are a fan of bookcases, Portenzo should be your first choice. Pricing can get steep, so if you are not looking to spend well over $100 (no one will blame you), then you can probably start shopping for a different line. With my options, the case ran $145.00. Not the cheapest accessory, but boy does it feel great. Check out Portenzo’s product line here.